Michael Gilbert, a decorative painter based in Mt Pleasant, SC, has announced he can help local residents transform their home with expert faux finishes. He is a specialist in decorative painting and creating stunning interiors in any style. 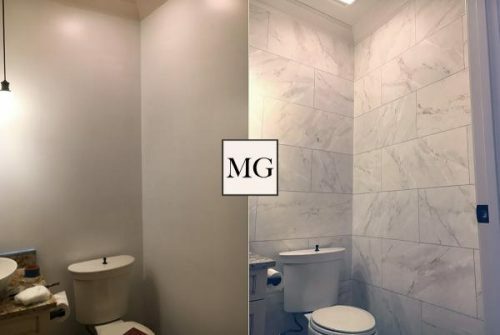 Michael Gilbert, a Mt Pleasant based decorative painting expert, has announced he can help local homeowners to transform their living space with faux finishes and quality design work. He is an expert decorative painter in the SC area and has a reputation for creating stunning interiors for local residents. Michael Gilbert began his career in the early 1980s based out of Manhattan, New York as an apprentice to renowned muralist, Robert Jackson. It was during these years that he got introduced to a wide range of faux finishes, ranging from faux bois to faux marble and troupe l’eoill. He also trained in the art of hand painted ceilings, and intricate hand painted floor designs, motifs and creations. As well as learning from Robert Jackson, he trained under world class decorators like Mario Bugatti, Bunny Williams, Mark Hampton, John Saladino, Keith Irvine, David Whitcomb, Scott Salvador, and Daniel Dempsey. Now, as a fully trained and renowned decorative painter, he offers his services to local residents wanting to transform their home, add value to their property, or express themselves in a distinctive and unique way. Decorative painting is also known as faux painting, and is an art form that dates back thousands of years and aims to reproduce or simulate organic materials in art. These include organic materials like wood, marble or stone through the use of paint, plaster, inks and clay. Faux painting like this has been seen through the works of Egyptians tombs, Ancient Greek or Roman pottery, and more. Commonly it is also seen on floors and ceilings, which offer a large canvas to show off unique and compelling designs. There are a number of benefits to decorative painting in the home, as it lasts longer than any wallpaper, and is highly versatile as a design choice. Homeowners can change the ambience of a room, show off their style and taste, and make any room or setting more exciting and inspiring. Michael Gilbert prides himself on his high quality artwork and is open to working with new clients around the local Mt Pleasant area. Full details can be found on the URL above or by getting in touch at (518) 653-1515.